Training Room – Available for hire in Loughrea. A Complete Desktop Computer Lab that comfortably caters for up to 20 learners. 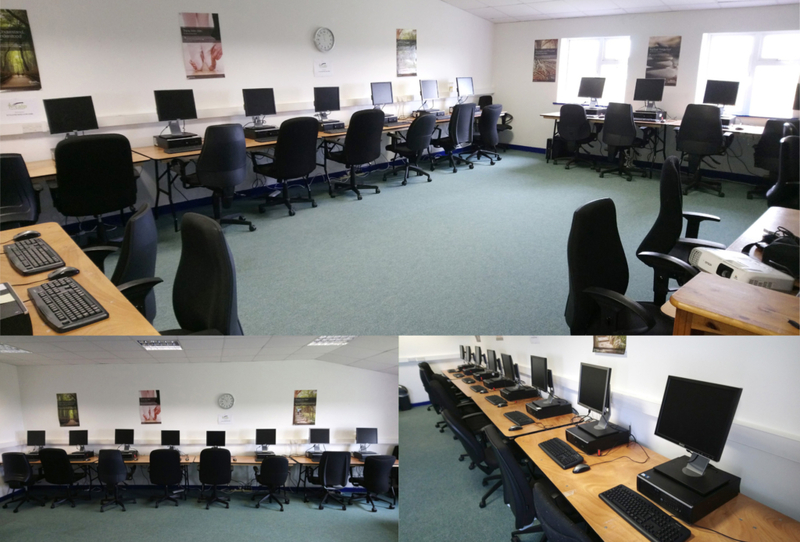 Located in Loughrea Business & Technology Park, the training room can support cloud based skills training, as well as practical skills including ECDL, CV Preparation, Job Searching Skills, Health and Safety, Manual Handling, Customer Service and Sales Training, and other courses requiring access to computers. The room can also be configured for meetings for up to 40 people. Click here to download our PDF Flyer!